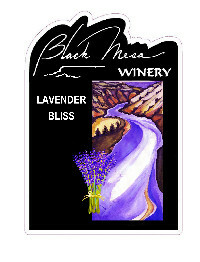 This lavender-infused sweet wine made with Muscat grapes has orange zest and honey flavors. Pair it with dried fruit, blue cheese and strawberry flan. Our un-oaked Chardonnay '16 is aged in stainless steel tanks to bring out the rich flavors of the Chardonnay grape. This wine pairs well with fish, Asian entrees, or lightly barbequed chicken. This dry wine’s apple, lemon zest, oak, hazelnut, nutmeg and allspice flavors pair well with shrimp scampi, chicken tikka and green chile enchiladas. A blend of White Riesling and Sauvignon Blanc grapes, this sweet wine has pear and red delicious apple flavors. Pair it with grilled peaches with mozzarella, grilled fish tacos and sopapillas with honey. This sweet sherry-style wine has a nutty caramel flavor. Pair it with braised pears with caramel sauce, gorgonzola dolce and Marcona almonds. A blend of Malvasia and Riesling grapes, this sweet wine has apricot and honey flavors. Serve it chilled with gorgonzola cheese, grilled chicken with fruit salsa and green chile chicken quesadillas. This sweet wine’s floral flavors pair well with Chinese barbeque pork buns, Thai red curry with vegetables and red chile posole. This dry wine has pear and grapefruit flavors. Pair it with gravlax, white gazpacho and roasted shishito peppers. This dry wine has pineapple, tangerine and mineral flavors. Pair it with oysters on the half shell, korma curries and salsa verde chicken chilaquiles. This sweet wine has honey, nutmeg and apple flavors. Pair it with gouda cheese, nuts and pumpkin empanadas.